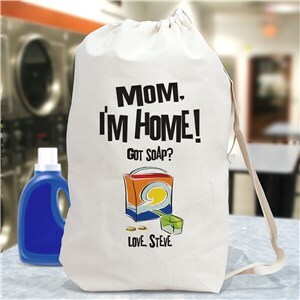 Have a child heading off to college or university? 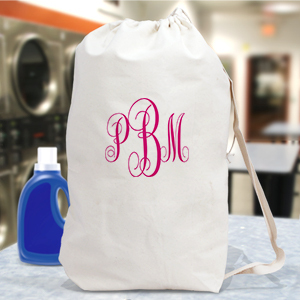 It’s essential they have a laundry bag, one personalized with their name or monogrammed with their initials. For many college bound teens, this will be their first foray to the laundrymat or room, it may even be their introduction to the washing machine itself. 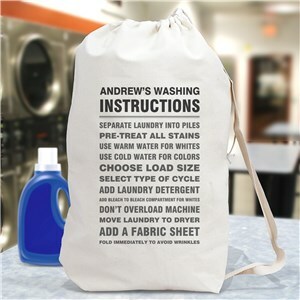 Make sure they are prepared to haul their dirty clothes by ordering them one of our heavy duty custom printed and personalized laundry bags. 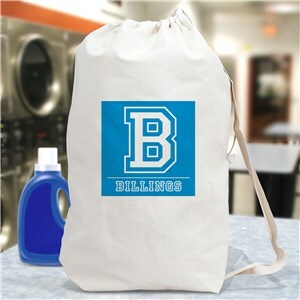 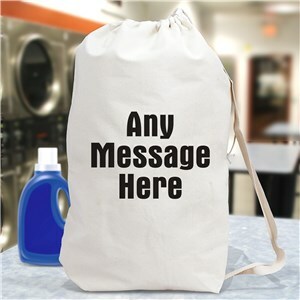 Consisting of a drawstring and shoulder strap, these bags can also be tossed in the wash as they are machine washable.